Read this interesting article on the minor orders leading up to priesthood. Are you from the generation that will remember this? Perhaps it is something we should not forget. Article is provided by the United States Conference of Catholic Bishops. Prayer requires time, attention, and effort. 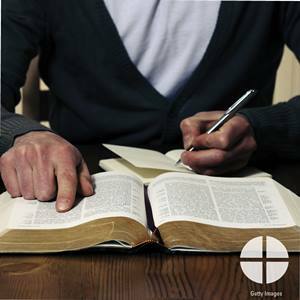 We need to discipline ourselves for what spiritual writers call “spiritual combat.” They cite problems such as acedia (a form of sloth or laziness) that arises from a lax ascetical behavior, a laxity that needs to be corrected. The Tempter will try to pull us away from prayer. Distraction and dryness will discourage us. The remedy is faith, fidelity to times for prayer, constant conversion of heart, and watchfulness. The Catechism’s section “The Battle of Prayer” (CCC, nos. 2725-2745) answers many questions that beginners are likely to ask. Its advice is practical and experiential. For example, the section addresses the issue of distraction, a major obstacle for most beginners. Distractions interfere with all forms of prayer. The temptation to fight them entraps one; all that is needed is to turn back to the presence of the Lord in our hearts. A distraction reveals our attachments, but a humble awareness of this can move us to offer Christ our hearts for the needed purification. After doing the short reading, take time to reflect on these questions. Why do you pray? When do you pray? How do you pray? If you practice some form of meditation regularly, how would you describe it? What means have you taken to persevere in meditation? What are you doing to deepen your prayer life? What are you learning from spiritual reading to help you with your prayer?